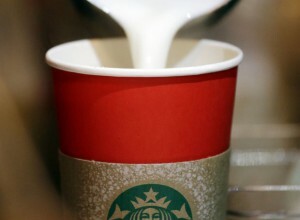 Some California residents have brought a class-action lawsuit against Starbucks for not filling their lattes up to the brim. Yep, you read that right. The complaint claims Starbucks misled its’ customers by only filling their cups ¾ of the way full. According to their standard recipe guide, the Plaintiffs argue the missing 25% of the latte violates a whole slew of rights. Plaintiffs allege Starbucks breached an express warranty, breached an implied warranty of merchantability, received unjust enrichment, violated California’s Consumers Legal Remedies Act, violated California’s Unfair Competition Law, violated California’s False Advertising Law, negligent misrepresented their products, and committed fraud. The Plaintiffs further allege Starbucks made a conscious decision to under fill their lattes in order to save money on milk. But don’t fret, because this was brought as a class action suit, so all you fellow latte drinkers are potentially entitled to the restitution, compensatory, and punitive damages the Plaintiffs are asking for. Oh yea, plus any interest tacked on for all those lattes you’ve bought! Is This a Frivolous Lawsuit? A lawsuit is frivolous when the Plaintiff knows there is little to no chance of succeeding on the merits, or lack of merits, of the case. Frivolous lawsuits can lead to fines in the thousands, contempt orders, or even criminal consequences in extreme situations. Let’s be honest, this is an absolutely absurd lawsuit, but the Plaintiffs may actually be able to win. Here’s a further look into what the Plaintiffs are claiming. A breach of express warranty is anything that a seller represents to a buyer about the product. The complaint alleges Starbucks expressly warranted their lattes contained “12 fl oz” for a Tall, “16 floz” for a Grande, and “20 floz” for a Venti, which is in fact true. The question is whether Starbucks breached their express warranty by only filling their lattes ¾ of the way to the top of the cup. A breach of an implied warranty of merchantability is anything that is guaranteed to work as claimed. Basically the same argument as above, except they added that the lattes were not fit within the market for their intended purpose. Unjust enrichment is when one party is enriched at the expense of another. Plaintiffs allege Starbucks was unjustly enriched in retaining revenue from the purchases of the lattes. California’s Consumers Legal Remedies Act prohibits representing goods that have quantities, among other things, which they do not have. California’s Unfair Competition Law prohibits unfair, deceptive, untrue or misleading advertising. California’s False Advertising Law prohibits just what it says—false advertising. Starbucks negligently misrepresented or negligently omitted material facts about the lattes. Starbucks provided false or misleading material information and failed to disclose material facts about the lattes, i.e. fraud. On the face of the legal issues presented, the Plaintiffs make some decent arguments that Starbucks misrepresented the actual size of their lattes. Although ridiculous, they may have enough to not be considered a frivolous lawsuit. However, in order to win, they are going to have to prove that an average person who purchases the lattes expects to get exactly 12 ounces (or 16 and 20 ounces) in their latte. How many of us, when ordering a drink, expects it to be filled to the brim of the cup. I know I don’t. Wouldn’t filling the cup to the brim be quick to spill? I see another McDonald’s hot coffee lawsuit coming out of this. Additional, the Plaintiffs need to prove actual harm in order to get an award for damages and that may be hard to do. The Plaintiffs allege harm because they state they would not have purchased the lattes on the same terms had they known the cups were in fact not filled all the way to the top. Starbucks has responded that they believe the case is without merit. Not only is each drink hand prepared, which inevitably results in variances of each drink, but Starbucks ensures that if a customer is unhappy with the preparation of their drink, they will remake the beverage at no cost to the consumer. Starbucks can file a motion for summary judgment once all discovery is complete. Summary judgment is a judgment entered by the court in favor of one party without a full trial. These type of motions are filed if one party believes either the other doesn’t have enough evidence to prove their case or there is enough evidence that proves no liability. Essentially, if Starbucks believes the Plaintiffs don’t have legal merits for the case, they can ask the court to make a decision without the need of a trial. When you go to McDonald’s, or any other establishment, and order an iced tea, it’s filled with your beverage plus ice. You aren’t technically getting the full ounces represented on the cup. Based on the Plaintiffs’ arguments against Starbucks, all drink suppliers could potentially be sued on the same basis. A judgment in favor of the Plaintiffs would set a horrible precedent.